$265. Vintage mid century modern Lane walnut cabinet table/nightstand. Known for their impeccable quality and craftsmanship, Lane has been a leading American furniture manufacturer since 1912. Unusual 2 door cabinet. Square framed sides. 2 doors with carved ribbed detail. Tapered legs. 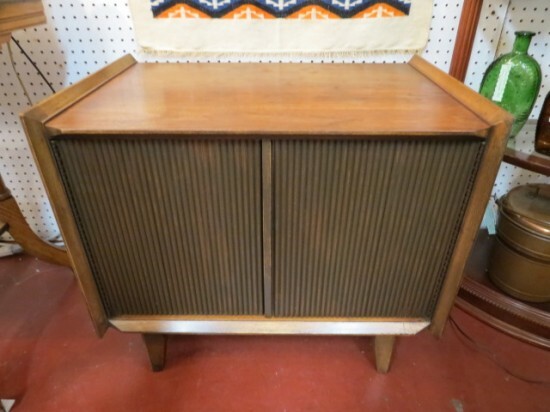 Perfect for your mid century modern living room or bedroom. Excellent condition. 26in wide, 17in deep, 23in tall.